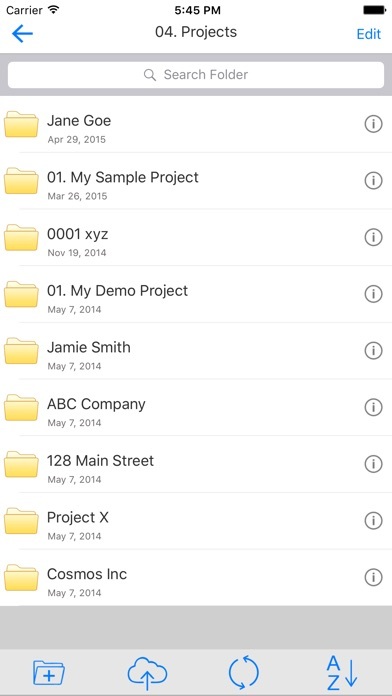 Track and access your Docsvault documents on the go. Docsvault Mobile is a client for smartphones and tablets that gives you secure access to all your documents stored on the Docsvault server in your office. It’s fast, secure and simple to use, so you can be productive from anywhere. This app requires Docsvault v10+ installed on your own server with secure web access configured. It comes with a rich set of features to take care of all your document management needs. 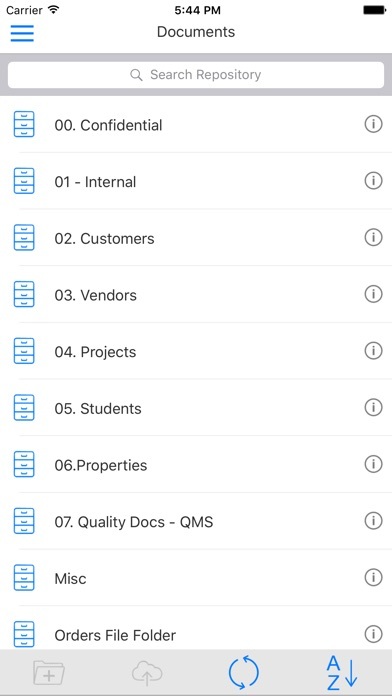 Here are few highlighted features: • Real-time connection with Docsvault on-premise repository • Download your favorite documents and folders for quick viewing • Manage your files, folder easily (copy, move, rename, delete) • View Microsoft Office, PDF, and text file formats on the go! • Create new files and folders from anywhere • Stay in sync with your colleagues. 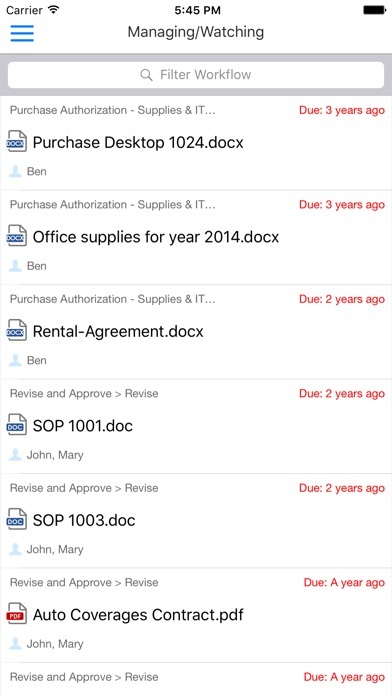 Review your latest documents and leave a note on a document to send feedback • Create, view, search and add description and notes effortlessly • Real-time full text searches throughout the repository • Capture & profile new documents using your camera or upload multiple images from gallery • Access your Docsvault Workflow tasks on your mobile device. 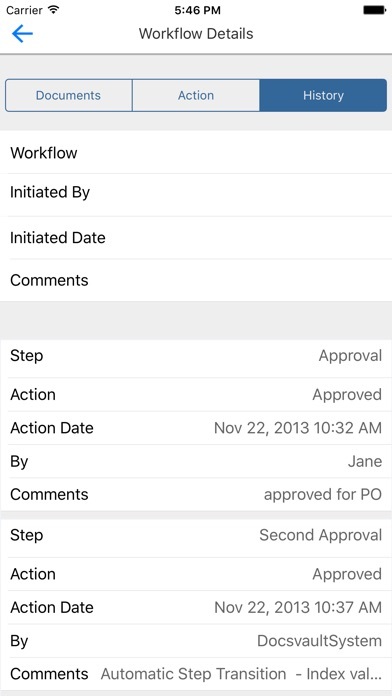 Receive workflow notifications, take ownership, delegate or perform required actions on tasks while on the move. 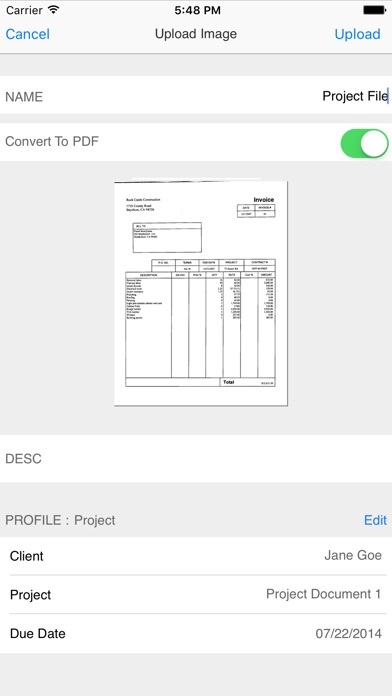 • Upload files from other apps to your Docsvault repository using the 'Open In' feature • Convert image files to PDF while uploading them to Docsvault (allows OCR of captured documents) • Enterprise-class security; safely exchange data over secure connections • Email/Share Docsvault documents using the standard share button Docsvault is one of the leading document management software trusted by more than 3000 organizations spread in over 30 countries. Docsvault customers are diverse and include corporate offices, accounting, finance, legal firms, insurance firms, healthcare services, government agencies, consultancy services, education institutions and small businesses.